Delicate, rare, spotted, charming, exquisite. 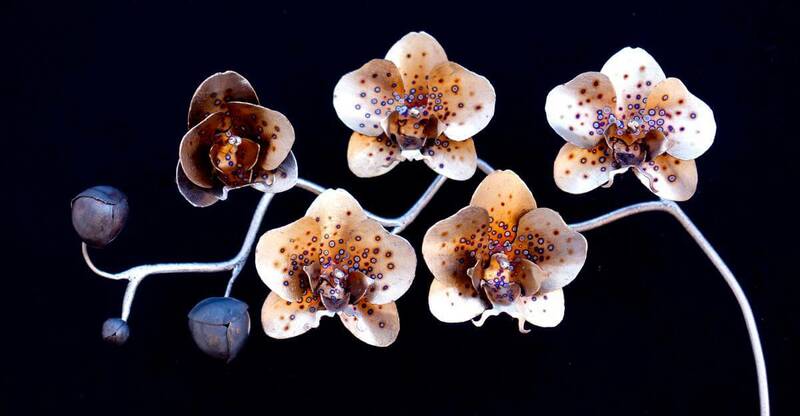 This orchid is a wall hanging sculpture based off of the Phalaenopsis Blume and is handmade entirely of stainless steel. I find orchids to be stunningly beautiful and elegant with their delicate detailed petals and their layered flowers placed along a serpentine stem. 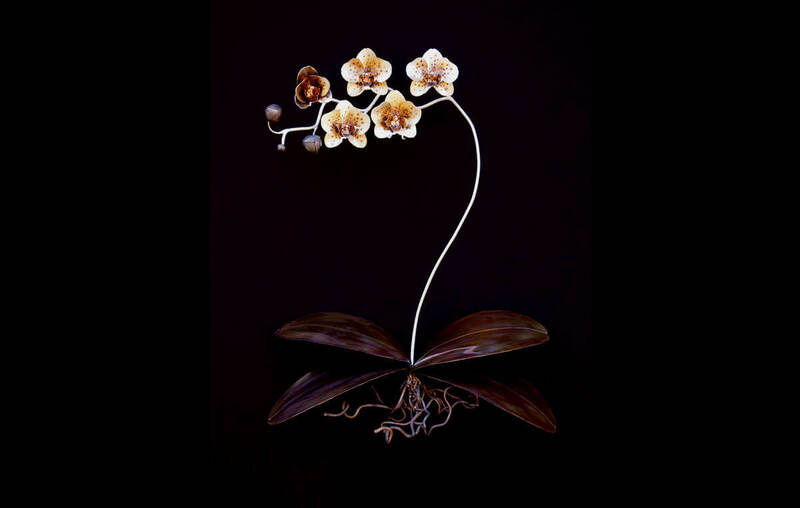 Orchids are a treasure trove for an artist as there are over 25,000 documented species! Meaning there is always a new flower to inspire you! They have bilateral symmetry similar to the human face that creates a unique balance that is rarely found in flowers. 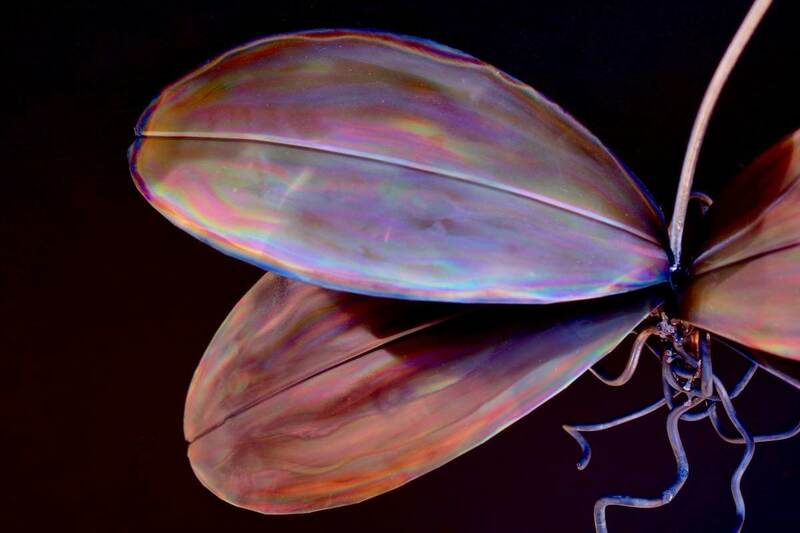 Orchids have adapted to mimic insects in order to be pollinated and even vanilla is a type of orchid! If you want to learn more about this amazing plant check out the stuff you should know podcast or article! 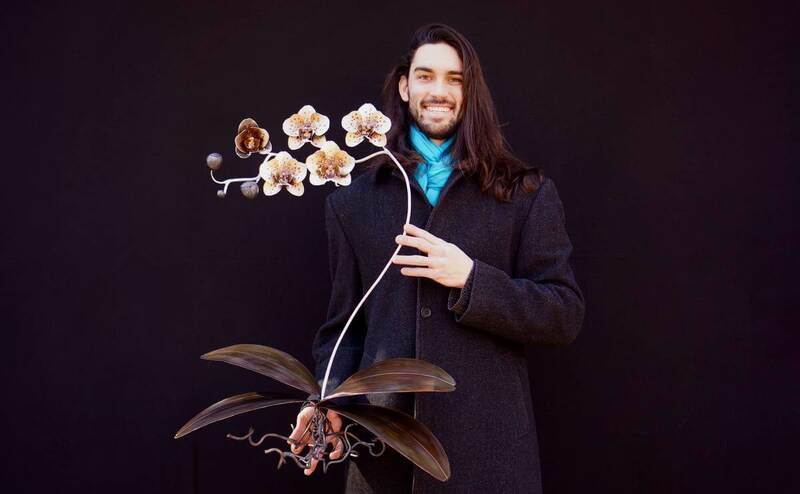 Metal seemed like the perfect medium to create one of these plants as it can mimic the glow that seems inherent in orchid flowers. And it is strong enough to hold up all those flowers on one stem without tiny hair clips and a crutch! This sculpture must be kept indoors. Close up of orchid sculptures flowers and buds.